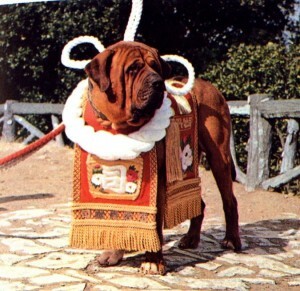 Dogs in International Costumes: Bone Voyage! | Will My Dog Hate Me? Not everyone can afford to travel overseas with a pet, and those with large dogs are at a particular disadvantage. Today’s Pet Travel Thursday post therefore takes you on virtual world journey. I’ve aimed at breed appropriateness — and Halloween costume inspiration — wherever possible. 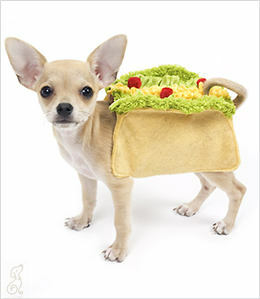 A chihuahua and a taco may be a bit stereotypical but admit it: This combo is darned cute. If you’d like to purchase one for your own little jumping bean, see G.W. Little. 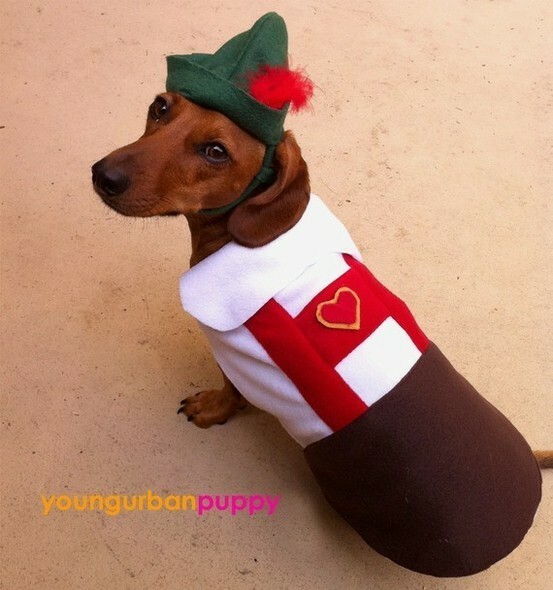 A dachshund in lederhosen! Squee! I’m afraid this particular item sold while I was writing the post, but there are several adorable substitutes on Etsy. 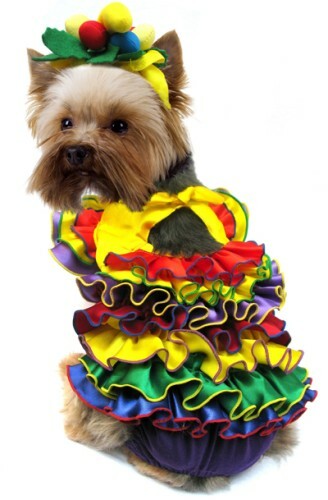 To dress your own Mardi Gras queen, see the BarkinWoofer store. Amidst all the tacky French maid costumes, I found this gem. Not only is this tasteful attire modeled by a French Bulldog, but it comes replete with DIY instructions from WomensDay.com. This picture, from the TokyoTimes.org, is followed up by one purporting to show the deep shame of this dog (the best guess is that it’s a shaved Pomeranian). 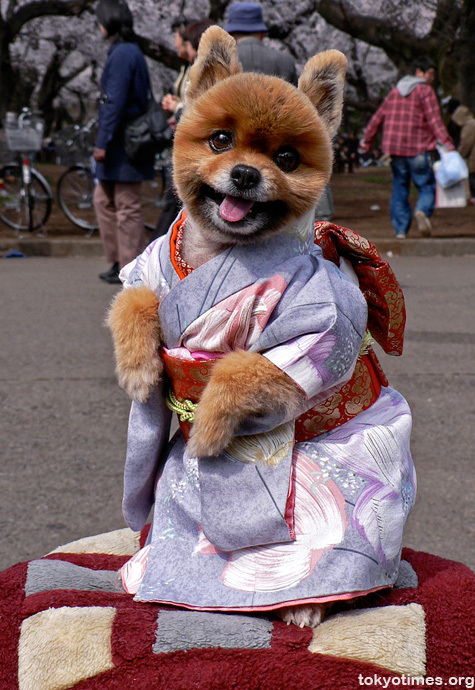 For more ridiculously cute dogs in kimonos see Buzzfeed.com’s 10 Kawaii Dogs in Kimonos. Oh, so cute! That French costume is darling. Thanks for the inspiration! Those are adorable. 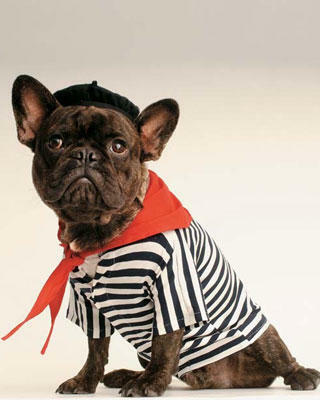 I’ve thought of dressing Misty as a cheap French, er…courtesan. Brazil is definitely my favorite. I found myself posting this on Facebook this morning. Ha ha ha, these are adorable. Love em. Kol and Fe may not agree but dog costumes are the cutest and since I have the opposable thumbs, they’ll be dressing up again this year. And what will Kol and Fe be wearing? The Doxie in the Lederhosen is just awesome sauce!! The dogs have costumes that match their breed. They all look so adorable. The chihuahua wearing the taco looks so amusing. But I like Japan’s entry the best, it is so picture perfect. Seeing the different breed of puppies makes me think that truly dogs are man’s best friend. 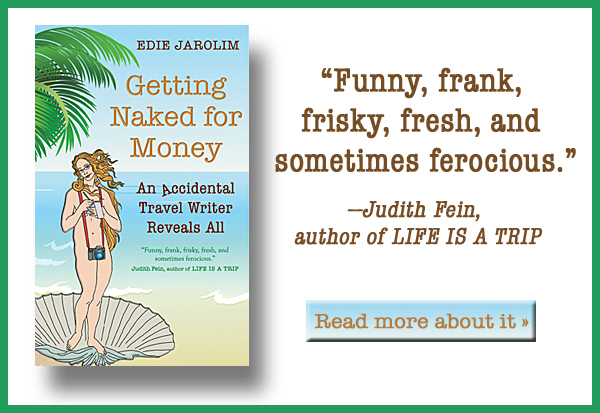 OMG Edie. I cannot believe I missed this one! Thanks to AJ for putting you on her list of 22 things that made her smile in 2011. How did you ever find these costumes??? I’m embarrassed to admit I didn’t know about AJ’s list until you mentioned it here. As for the costumes, it’s not that hard to find some gems around Halloween. Glad you enjoyed them!